Enter the word or sentence you want to practice and practice writing it while looking at the example. Your writing will immediately be mechanically corrected. There are two ways to practice. You can trace the screen on your touch panel or with your mouse, or you can print out the example and practice on paper. 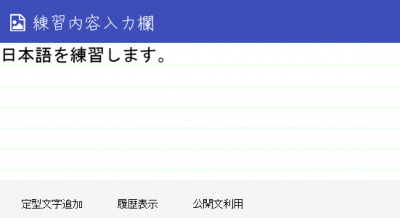 You can select the font of the letters you want to practice. By setting the typeface to show character stroke order, you can practice while following the order correctly. 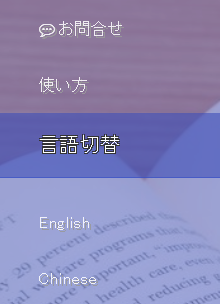 In addition to Japanese, you can set the main language to English or Chinese. You can switch languages from the menu on the top left. Scroll down to find the pages to enter your writing, by topic. Enter the word or sentence you want to practice on the "training content" page. Then "set the example" by selecting size, borders, and number of iterations. 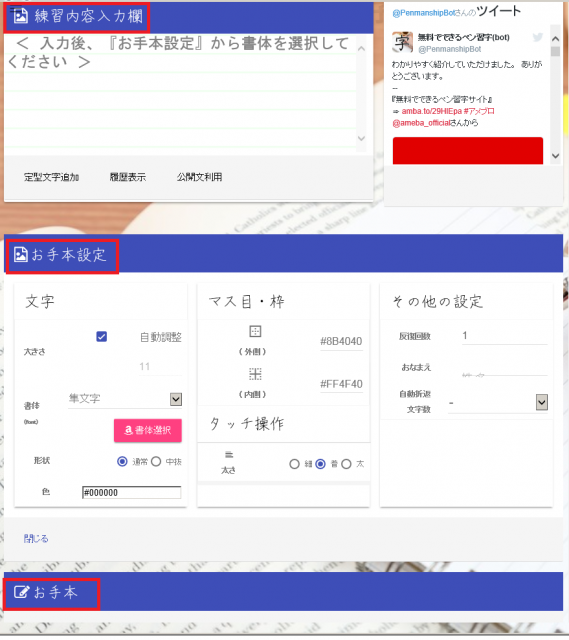 You will see "an example" based on the set font and borders that you can use to trace. After you trace the letters on the screen, click "correct" to find your correction results and score. Click "reset" to try again. You can practice as many times as you like. 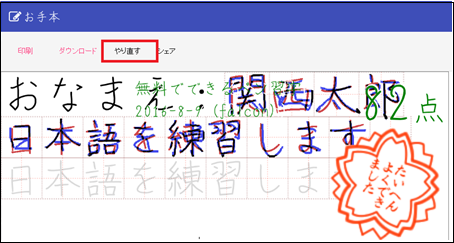 The screen after clicking "correction"
Click "print" to print out the example so you can actually practice writing with a pen or pencil. 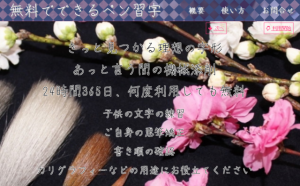 ① uploading the photographed image from the machine correction button in the site menu. 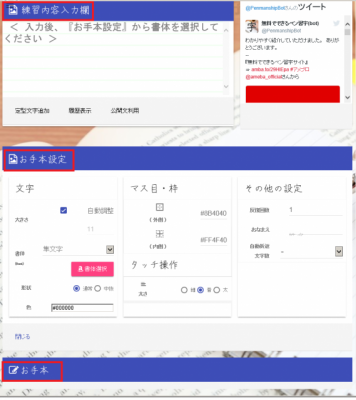 ② uploading the photographed image by accessing the machine correction page with the QR code at the top right of the practice sheet. Your results will be recorded as grades so you can see them at any time. Isn't it great that you can easily practice letters you want to learn over and over again and have them corrected immediately?